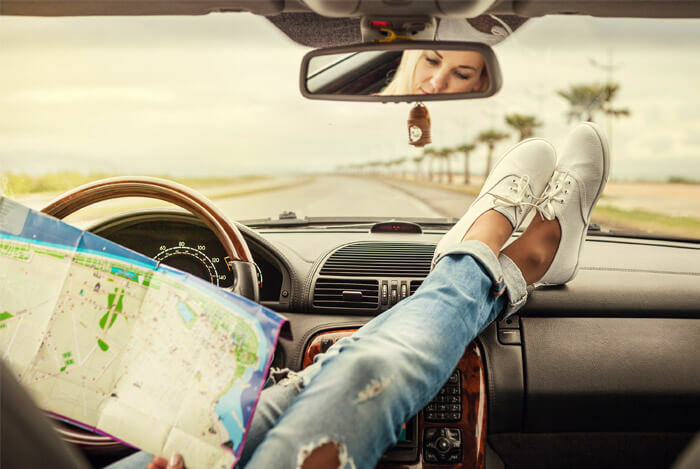 Here are some of the best recipes, tips, and tricks to keep your road trip healthy, protein fueled, and ready to go. See if you can stop at some local farmers’ markets to pick up fresh native produce to add to your cooler. It’ll be a wonderful way to healthily eat your way through the towns on your map. You should also freeze some water bottles and coconut water boxes to use in the cooler, along with plenty of ice. If you want to make some iced green tea you can easily put in empty water bottles and freeze. These breakfast recipes are easy to make and will give you and your family the right kind of fuel to discourage everyone from sleeping in. Lately I’ve been digging Gimme Some Oven’s, Cranberry Pistachio Energy Bites, which are super quick to make, pack a lot of protein, and are great for traveling. My variation swaps dark chocolate for white chocolate and adds hemp hearts for extra protein. Combine about 1 packed cup of chopped dates, ½ cup honey, 1 tablespoon chia seeds, 1 tablespoon ground flax seeds, 1 tablespoon hemp hearts, and a pinch of salt in a food processor. Pulse until smooth and combined. You should be able to stir the mixture – if it’s too thick, add in another tablespoon or two of honey. Transfer the mixture to a large bowl and stir in 1 ½ cups old fashioned oats (dry, not cooked), 1 cup shelled pistachio nuts, 1 cup dried cranberries, and ⅓ cup dark or semi-sweet chocolate chips or chunks, until evenly combined. Cover and refrigerate for at least 30 minutes. Once the mixture is cool (and easier to work with), use a spoon or cookie scoop to shape your desired size of energy balls. 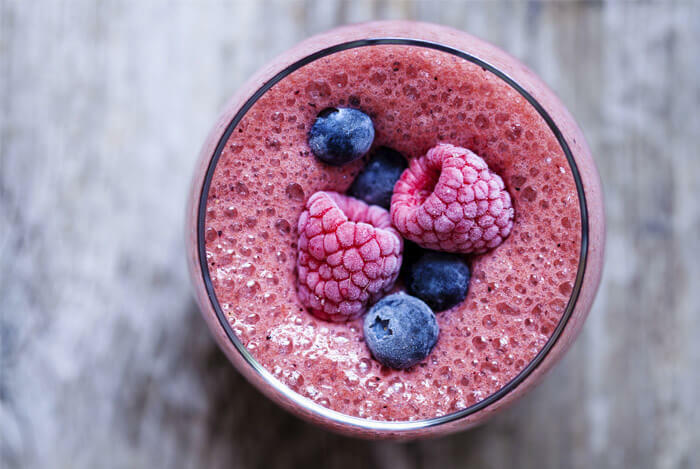 Fitness Magazine brings us this delicious antioxidant rich smoothie filled with healthy fats by Mimi Kirk. I love the idea of individual smoothies that can sit in cup holders and backpacks right out of the cooler. To make this smoothie extra protein packed (for those hours of picture taking and hiking), I add some whey protein powder. I also add chia seeds to keep me feeling fuller longer. 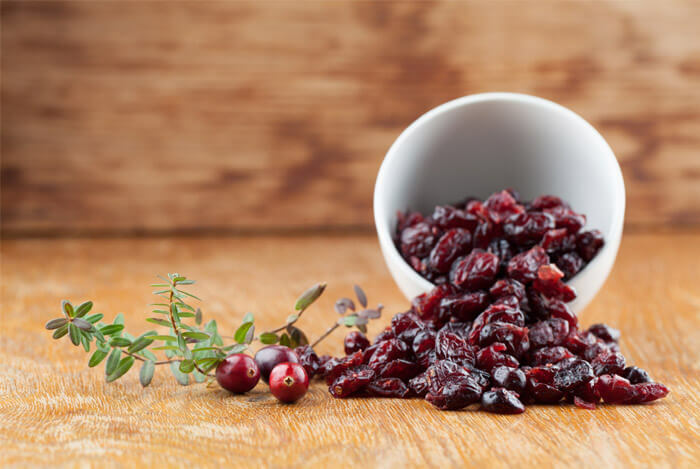 Keep in mind that you can use fresh or frozen berries depending on what you have on hand. I always like to keep a bag of frozen mixed berries in my freezer at all times. Blend ½ cup almond, hemp seed, or coconut milk, ½ cup blueberries, ½ cup strawberries, ½ cup blackberries, 2 tablespoons chia seeds, and 2-3 Medjool dates until smooth. Drink up and enjoy! I used to only eat quinoa during lunch and dinner. 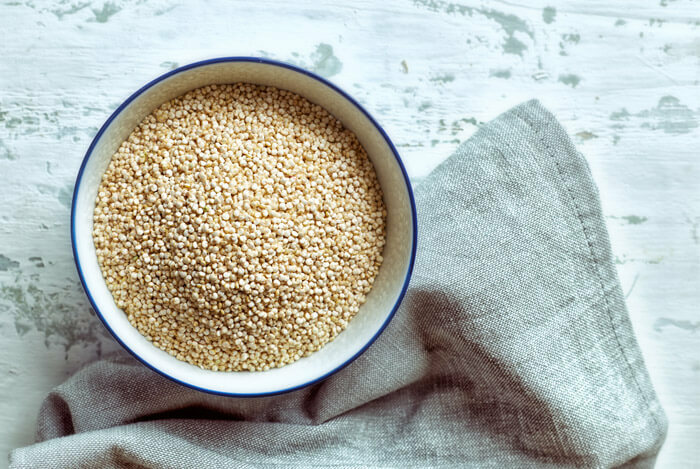 But pairing your quinoa with flavors on the sweeter side will really help broaden the way you think about this grain – it definitely helped me see the light. Now I eat quinoa for breakfast on the odd occasion, and recipes like this one make me wonder why it took me so long to do so. Combine 1 cup of cooked quinoa with ½ cup blueberries, ½ cup strawberries, ½ cup mandarin oranges, and ½ cup mango chunks in a large bowl. Add ½ cup hemp hearts or chia seeds. Stir to combine. Put 2 tablespoons olive oil, the juice of 1 lime, and 1 teaspoon honey in a jar with a lid and shake until incorporated. 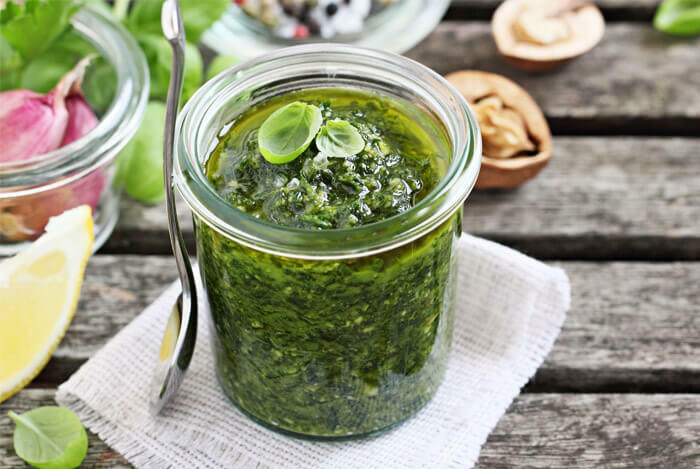 Pour over the salad, stir to combine, and sprinkle on 1 tablespoon fresh chopped mint leaves. After your busy morning, there’s nothing better than relaxing on the way to your next destination. These lunch recipes are perfect to keep your energy levels high and your tummy feeling full. You can whip up a quick pasta salad and portion out mason jars full of the tasty stuff. I like my version of this recipe because it combines good carbs from the whole wheat pasta with two kinds of fiber and protein packed beans. Plus, it has a refreshing and low calorie homemade dressing. This recipe calls for grilled chicken, but I’ve also made it with tuna in olive oil with fantastic results. While you cook 1 lb. 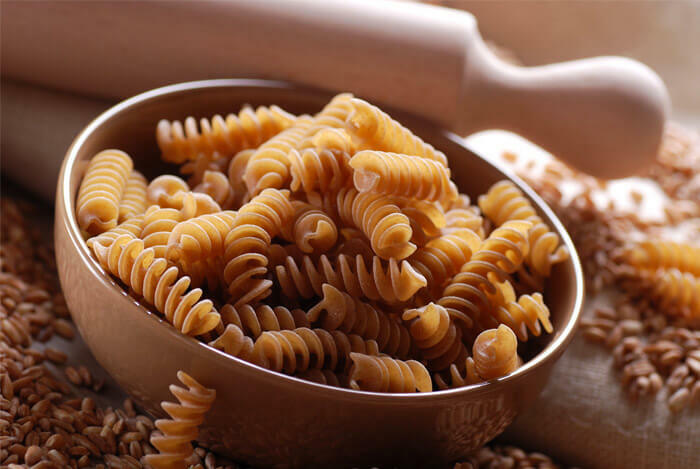 of whole wheat short pasta (I like gemelli, rotini, or corkscrews), mix ¼ cup of coarsely chopped fresh dill, ¼ cup white wine vinegar, 2 tablespoons coarsely chopped shallots, ½ tsp of salt, and ½ tsp of pepper (or more to taste) in a blender until well combined. While on high speed, drizzle in ⅔ cup olive oil until incorporated. Turn off the blender and add ¼ cup capers (rinsed). Pulse until the capers are coarsely chipped. Your dressing is done! Put your cooked pasta in a large bowl. To the pasta, add 2 sliced grilled chicken breasts, one 15 oz can of chickpeas (rinsed), one 15 oz can of cannellini beans (rinsed), 1 medium cucumber, 6 ounces (about 1 ¼ cups) crumbled feta cheese, and 2 tablespoons fresh Italian parsley leaves finely chopped. Pour in your homemade dressing and toss to combine. Season with additional salt and pepper if needed. Store in the fridge or cooler and serve cold or at room temperature. These delightful wraps from Weelicious can be eaten warm or chilled. In fact, I prefer them chilled because they make perfect grab-and-eat cooler food. This is a vegetarian wrap, but feel free to add tuna or grilled chicken for some extra protein. Halve 2 red bell peppers, remove the seeds, and add to a bowl. Cut 1 small red onion into quarters and add that to the peppers. Remove the stems from 2 portobello mushrooms and add the caps to the bowl. Drizzle veggies with 1 tablespoon olive oil and 1 tablespoon balsamic vinegar. Sprinkle with 1 teaspoon kosher salt. Mix to coat all veggies. Place all the veggies on the grill and cook for 3-5 minutes per side, or until the veggies are soft. Remove from the grill and allow to cool slightly. Thinly slice the mushrooms and bell peppers. Separate the onions into thin rings. Let all veggies completely cool. In a small bowl, mix together ¼ cup fat free plain Greek yogurt and 1 teaspoon balsamic vinegar. Spread 1 tablespoon of the yogurt sauce onto 4 whole wheat tortilla wraps. Divide the veggies evenly between the tortilla wraps, top with ¼ cup crumbled feta cheese, and roll up like a burrito. Sneak one warm, or pack all wraps individually and add to your cooler for an easy lunch that you can eat and walk or drive with. One salad, one wrap, what about a cup of soup? 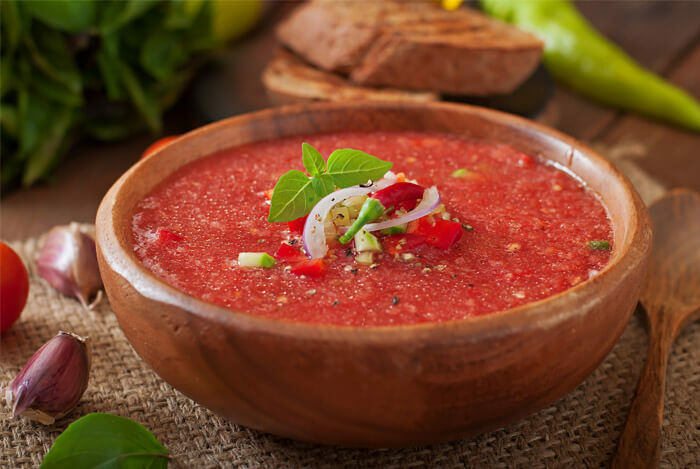 This recipe for Grilled Tomato Gazpacho from Eating Well will heighten a cold tomato soup to new levels of healthy road trip food. And all you have to do is pack a big container of it and pour it out into cups for every road tripper. 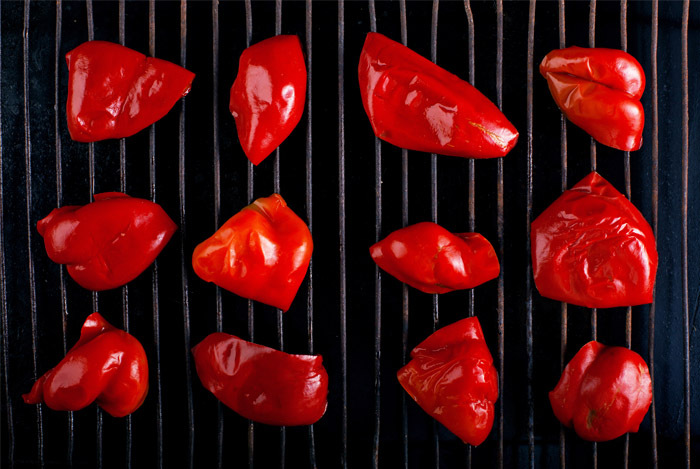 Grill 2 pounds ripe plum tomatoes and 1 small red bell pepper, turning a few times, until they soften. The skins should be blistered and charred in spots, about 8 minutes. Transfer the pepper to a plastic bag and let it steam until cool enough to handle. Peel off the skin; cut the pepper in half and discard the stem and seeds. Place one half in a blender. When the tomatoes are cool enough to handle, core and roughly chop. Add the tomatoes, skins and all, to the blender. Add half an English cucumber, peeled and seeded, to the blender along with ½ cup torn fresh or day-old whole wheat bread (crusts removed), 1 small clove garlic, 2-3 tablespoons red wine vinegar to taste, 1 tablespoon chopped fresh parsley, 1/4 teaspoon cayenne pepper, ½ teaspoon salt, and ¼ teaspoon freshly ground pepper. Blend until smooth. Add 2 tablespoons extra virgin olive oil and blend until well combined. Refrigerate until room temperature or chilled, at least 1 hour. Garnish with the other half of the diced red bell pepper. There’s nothing like watching the sunset somewhere beautiful with someone you love. Make the most of your road trip by eating alfresco while the sun goes down. You can drive to a great lookout spot, pull one of these premade healthy dinners out of the cooler, and take in mother nature’s glory. This hearty chicken pasta salad will fool even the pickiest eaters with its healthy twist: instead of using mayo, sour cream and Greek yogurt make this refreshing pasta ‘sauce’ super creamy. The recipe calls for homemade pesto, which is super easy, but if in a pinch, ¾ cup of store bought pesto can be used instead. Cook three cups of whole wheat penne pasta until al dente according to package directions. While the pasta is cooking, in a bowl of a food processor, combine 1½ cups fresh basil leaves, 4 Tbsp. pine nuts, ¼ cup freshly grated Parmesan cheese, 4 cloves garlic, and ½ cup extra virgin olive oil; process until smooth. In a large bowl, mix the cooked pasta with pesto, 1 (7 oz.) container 2% Greek yogurt, and ¼ cup sour cream. Add ½ cup chopped red bell pepper, ½ cup chopped celery, 1 Tbsp. minced red onion, 1 cup diced cooked chicken (rotisserie is great here! ), 3 tsp. fresh lemon juice, and ½ tsp. lemon zest. Season with salt and pepper as needed. Cover and chill for at least 30 minutes. Give it a couple of stirs before serving. If you think you’ll be craving takeout during your epic road trip, these cold Thai noodles are for you. This recipe can be packed in a single large Tupperware and easily portioned while in motion. Give these noodles to kids with chopsticks to keep them entertained for awhile. Cook 1 lb. 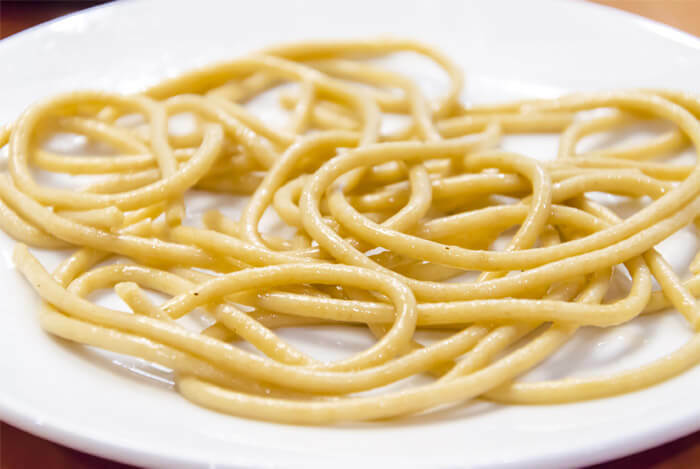 of spaghetti to al dente (do not overcook – mushy noodles won’t cut it). For the dressing, mix ½ cup smooth peanut butter, ¼ cup sesame oil, ⅓ cup low sodium soy sauce, ⅓ cup rice wine vinegar, 2 tablespoons fish sauce (substitute with 1/4 cup low sodium soy sauce), 2 tablespoons sriracha, 1 teaspoon ground pepper, 1 tablespoon fresh ginger, and ½ teaspoon garlic powder until blended. In large bowl, stir together noodles, grilled chicken breast (or grilled shrimp), ⅔ sauce (reserve ⅓ for later), 1 cucumber (seeded and chopped), 1 red bell pepper (seeded and chopped), 1 bunch green onion, chopped (set aside half of chopped green tops), 1 cup snow peas, 1 cup chopped Napa cabbage, and 1 cup bean sprouts. Chill minimum 2 hours. Before serving, pour reserved dressing over noodles, sprinkle with 2 tablespoons sesame seeds, ¼ cup chopped cilantro, and reserved green onions. If you’re road tripping somewhere hot, you’ll definitely want to cool off with something thoroughly chilled and satisfying. This recipe lightens up a classic and is sure to be a welcome addition to your night on the road. 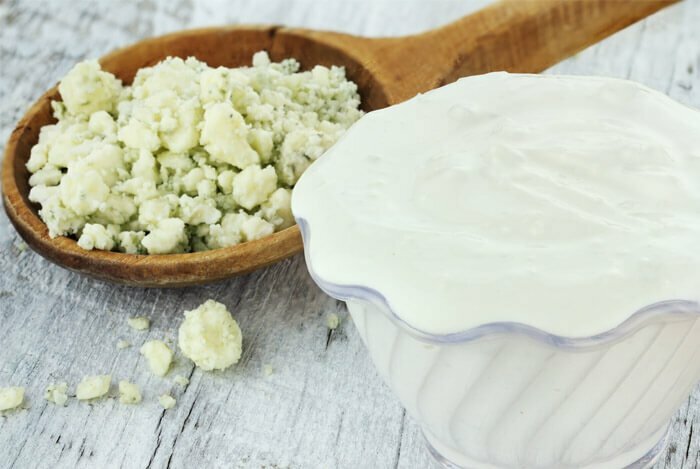 Combine ½ cup plain Greek yogurt, 1 teaspoon fresh lemon juice, 1 tablespoon apple cider vinegar, and 2 tablespoons blue cheese crumbles in a small bowl. Mix well. In another bowl, add 2 cups broccoli slaw and pour in your dressing. Mix well until all the slaw is coated evenly. Top off your slaw with 2 ounces grilled or baked chicken breast (or black beans to keep it vegetarian), and sprinkle 1 teaspoon sliced green onions on top. Everyone loves snacking on the road. I mean the time spent driving between destinations can be agonizing and you don’t want your tummy dictating where you stop, especially if it starts to crave unhealthy foods. So prepare to fight against those hunger pangs with these two snacks. 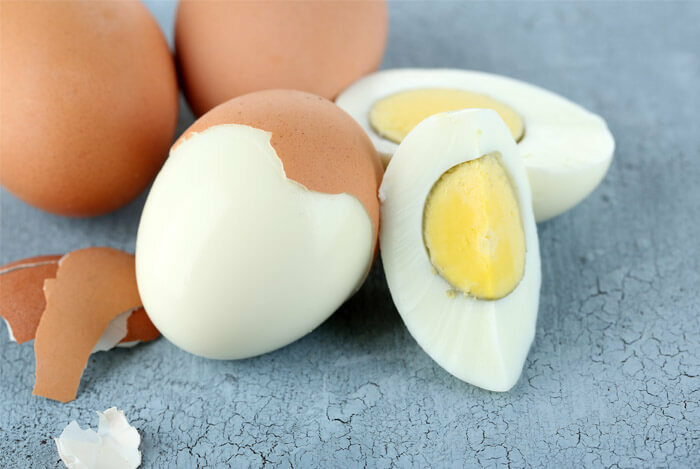 You can’t beat the quick protein packed, nutrient dense quality of hard boiled eggs. Pack a few eggs up, bring along some miniature salt packets, and let your kids focus on peeling the shells without dropping any in the car. Instead of getting lost in a bag of greasy potato chips, make sure to whip up some easy to make kale chips for your road trip. You’ll get vitamins and minerals from the kale, and lots of healthy fats from the avocado. Wash and dry 1 bunch of destemmed kale and break into tortilla chip sized pieces. Drizzle with 1 tablespoon of your favorite healthy oil and sprinkle on your favorite seasonings and sea salt. Bake until the edges are brown, but not burnt, around 10-15 minutes. Mash together 1 avocado, 1 tablespoons of chopped onion, and 1 diced tomato. Squeeze in ½ a lime and add a pinch of salt and fresh cilantro leaves. 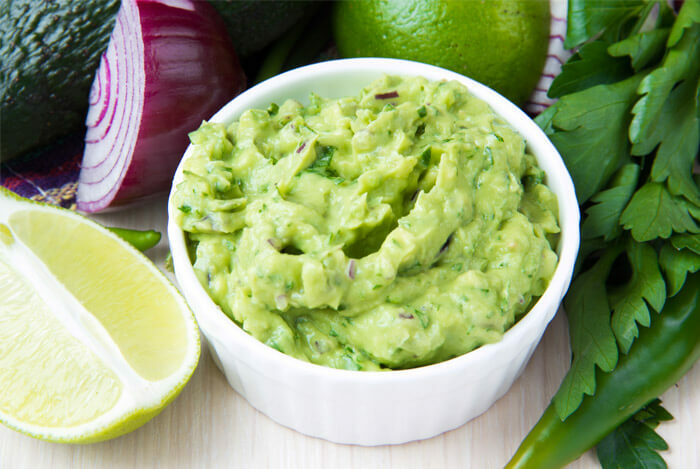 You can store your guacamole in an empty jar that you can toss at the next gas fill up. While you map out all your exciting destinations, making sure to plan healthy meals may not even be on your radar. But these 11 road trip-worthy meals and snacks should definitely fill your cooler (and your tummy) in the healthiest and most satisfying way. What’s your take on these healthy road trip foods? Have anything else you’d like to share? Let me know in the comments below!